WordPress Security is an important issue for any site owner. Thus, concern admins regularly try to secure their websites using different techniques and tools. This potentially ensures that unauthorized people cannot assess or manipulate valuable data. However, it's true that you cannot always secure your website. It takes a lot of effort and dedication to forging website security. If you can take the pain, you will be able to secure your site from most of the undesirable incidents. Besides that, you will eventually need to pay for the tools you are planning to use for security purposes. Whether you are a part of the large enterprise or small business, you will face security vulnerabilities as hackers target almost everyone. Thus, it's time to take necessary actions to minimize the risk and step up your game. This will greatly help to keep your website safe. 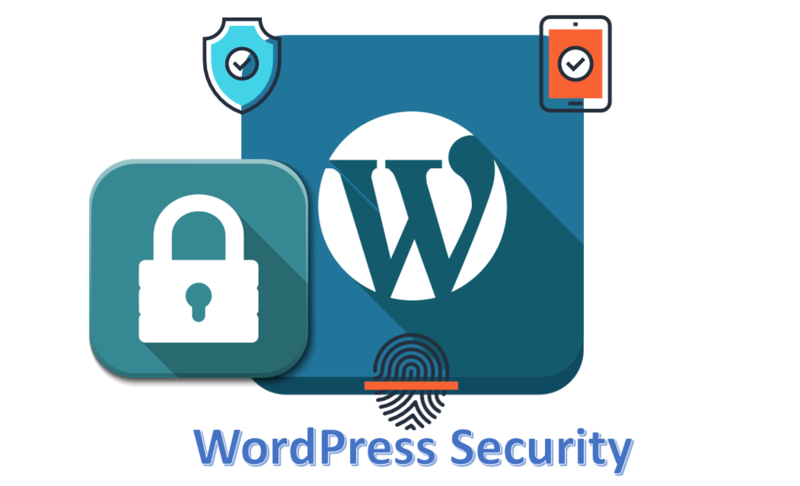 In today's article, we will discuss the importance of WordPress security and how you can easily secure your site with popular WP security plugins. How do your customers contact you in the initial stage? Of course, it's your website! This is the first point of contact that your customers make to reach you. If the visitors find the site unsafe or risky, it will be a great loss for your brand reputation. Not to mention, you will some potential sales specially income. Apart from that, online threats are evolving every day and they are pretty hard to predict. Although new security developments are being introduced, hackers are creating new ways of breaching them. So, how do hackers or unauthorized people target your site? They use a bot (automated program) for searching vulnerabilities and exploit them. Hackers manually attack high-value sites. However, it's a slow process. A group of programs known as botnets that coordinate from a common location and simultaneously attacks lots of sites. Another important question may be – why would hackers hack your site? Well, the answer is simple. They want to gain something from your site. Either they want to show off or have some malicious intentions. Most importantly, they want to establish something by reading and modifying your database. They may want to host their illicit content on your site or redirect your visitors to those content. This makes the visitors lose valuable data. Besides that, they might simply want to take over your site and steal your information including email address, activity log, credit card details etc. If you have invested a good amount of money and time on developing your site, breaching could make you lose a lot. However, you can prevent such incidents and also minimize the risks. There are handy WordPress security tools that can help you to secure your site. Yes, I am talking about WordPress security plugins. There are a lot of security plugins in the market but, all of them are not that helpful. There are some very helpful plugins that have loads of features, trusted by many users and also have free versions. So, before buying the premium version, you can try the free ones and take the proper decision. Now, let's find out more about these plugins and how they can help to secure your WordPress site. One of the most popular WordPress security plugins is WordFence and it provides a range of features that can potentially secure your website. It has more than 2 million active installs along with a rating of 4.8 stars. With this plugin, you can get important security features including IP blocking, login security, security scanning, firewall for your WordPress site and overall monitoring. This plugin is ideal for both beginner and pro users as it has easy to use interface without involving any coding. WordFence checks your site for infection and performs a deep server scan. It checks the source code and compare it with the core WordPress repository, installed themes and also plugins. These are available in WordFence free and you can get more advanced features with the premium version. Finally, we have a free WordPress security plugin that offers various security features to your WP site. It has more than 300k active installs and 4.6 ratings. Recently, it has become very popular for its features like security activity auditing, malware scanning, effective security hardening, blacklist monitoring, file integrity monitoring and also website firewall. Moreover, it's a complete suite of security for your WordPress site. Generally, Sucuri is able to track all your site activity including user login, performed changes with time and date. This approach helps to review the security breach easily. All three plugins that were reviewed in this post are capable of securing your website in different ways. They may provide similar features but their approaches are different. You can try them out and pick the most suitable one that fulfills your requirements. We have also identified some backup plugins for WordPress including UpdraftPlus, BlogVault and VaultPress. You can read about those plugins from here. We will also publish another post reviewing these backup plugins as they are related to your WordPress security. If you have experience with any of these plugins or have used another one that can provide similar functionalities, mentioned them in the comments. We would love to hear your thoughts regarding this. ← weForms – The Fastest Free Contact Form Plugin for WordPress is Here! Thanks for your comment. We will surely look into your plugin. We really appreciate that you liked our post. We post similar posts every week. Please subscribe to keep in touch with us. Hey! Mainul Thank you very for sharing this wonderful post. Thanks for your comment. We will surely look into the plugin.